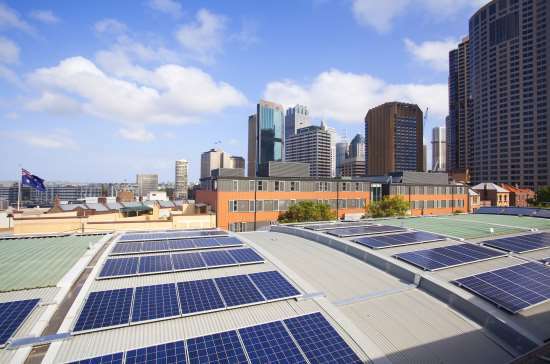 A new report by the Climate Council has found that 46% of Australia’s large businesses are turning to renewables as a source of reliable and affordable energy. The piece of research outlines how increasing electricity bills over the last decade have been instrumental in many companies seeking green alternatives to conventional sources of power. The average household and small-business energy bill is more than 80% higher than a decade ago, while gas prices have risen threefold in just five years. “These businesses are actively investing in renewable energy in a bid to cut costs and take control of their power bills while also playing a crucial role in transitioning the nation away from ageing, polluting and unreliable fossil fuels,” said Climate Council energy expert Greg Bourne. In particular, the capacity of Australian companies generating their own solar power has increased by 60% in less than two years. Typically, business owners report making their investment back through cost savings in less than five years. Increasing clamour for renewable energy is also being reflected amongst the wider national populace, with four out of five Australians maintaining that big companies should be using renewables. Finally, the Climate Council report linked Australia’s transition towards renewables to countries around the world, with two-thirds of Fortune 100 companies committing to ambitious renewable energy and sustainability targets.